I think we bought a house! 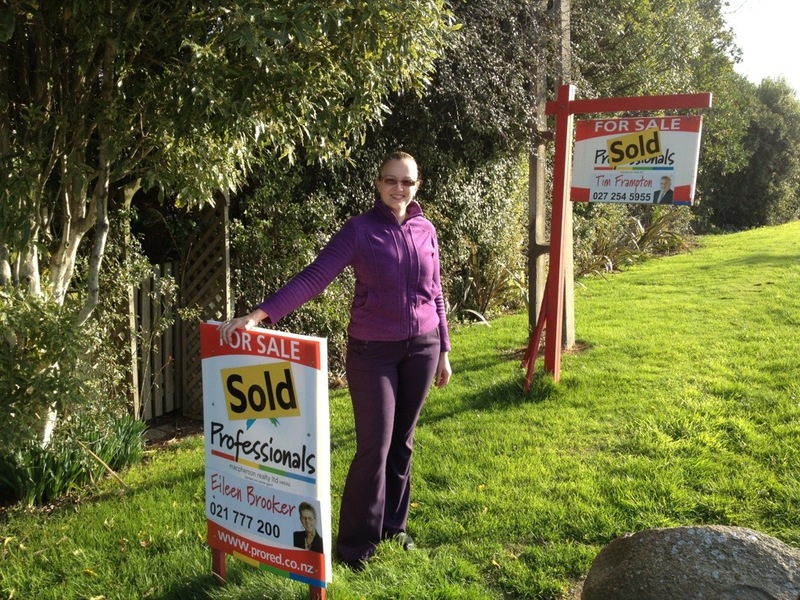 Yes, after a stressful few weeks, in many ways, I think we are not ALMOST the proud owners of a house, at last! Buying houses in New Zealand is quite different to how its done in the UK. In fact almost opposite. When you find the house you want, put an offer in. This involves drawing up and signing a contract. Yes, a contract! You can, at this stage, put conditions into it, e.g. Finance, builders reports, etc. Offer accepted, now the fun begins! You now have ten days to settle the conditions on the contract and pay the deposit. You will need to instruct a solicitor, organise and prove you have finance, get the builders report, (approx $400) the LIM (council records, which you can pay for, approx $250 or view for free) and so on. Get moving, you’ve only got jus over a week! If someone else makes an offer on the property while your contract is still conditional, you have three days to produce and pay the deposit to the real estate agent (usually 5-10%) or you lose the house. It’s called the ‘cash clause’. Once you are satisfied all is in order, all reports and inspections are in and settled as expected, you have proven finance in place, you now must pay the deposit, at which stage the property goes ‘unconditional’ and the sold board goes up. If you pull out of the sale after you cross this point, you will lose the deposit that you paid. To be honest, I like this process, it makes house sales swift and simple. It also means that you have a bare few weeks while you are to the finish line, so to speak! We are still in a rental agreement, so the move in date is a long while off yet, however we are one small step closer to the finish line – back in a house that is our own! It’s been hard, trust me. We had the 5% JUST, but then there was mum. Almost half went again on air fares. We have struggled and caught to try to afford this, have taken ourselves almost to the brink, but it was all worth it in the end. The day after our mortgage was pre-approved, the bak changed its policy on 95% lending, ahead of a change in the law on 1 October. We knew that a 20% deposit would be almost impossible to get together, after the law change, so we feel incredibly blessed that we managed to make it happen. Don’t take the first person as red. Shop around. Here they call mortgages ‘home loans’ and its perfectly normal to not even use a bank! Don’t let them put you off. Our bank was truly awful to us when we enquirer about mortgages, asking for a huge pile of irrelevant paperwork dating way back into the UK bank accounts. Nonsense, don’t accept that. Make sure you are sure. There’s no turning back in this house buying process! Don’t expect UK standards. Go to several weekends of open homes, look at everything from the cheap to the mansions, get a feel for what exactly you get for your cash here, so you know if you are getting a bargain, or being ripped off! This entry was posted in houses and tagged buying houses, house buying, house sales, real-estate. Bookmark the permalink.